Buying your first ham radio equipment is a crucial step for every beginner. Experienced hams certainly remember that moment as the happiest day in their lives. We are here to make buying as exciting and safe as possible. 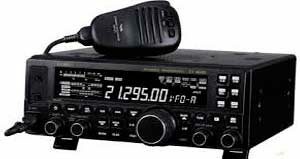 This article contains some useful tips and guides to purchase affordable and reliable DX radio equipment without facing any difficulties. We will introduce some of the best sources where you can buy cheap DX radio stations and all necessary components putting an ease on your wallet. You have finally received your licence and ready to make your first contact. However, you will need something more than just passing the test. You may find a lot of ham radio info while surfing the net. It may be related to some leading producers and brands that provide radio equipment of different types. Some of you may be at first confused with so much information to learn. You can choose from various models and types produced for particular purposes featuring different characteristics and specs. Opting for the right one can appear to be a tough challenge. There are no problems in case you have an unlimited budget. All you need is to step into your local radio store and ask for assistance. However, what should you do in case of a limited budget? Many experienced hams share their experience and recommend opting for some used equipment available in the flea markets and online. Even if you come across DX radio stations that are 3 or 4 years old, they will hardly provide less efficiency compared with new ones. Moreover, they will cost you less as well. Aftermarket sources are the best bet for those who are not ready to pay hundreds of dollars to make a first contact. The good old ’70s left numerous great components that can still be used today with the same efficiency. They include receivers, transmitters and antennas of various types and models. All you need is to decide when and how you are going to use your ham radio. Always keep in mind that you are not allowed transmitting for commercial purposes or ad campaigns. Such actions are prohibited by the legislation of your country. Try not to opt for complicated devices featuring lots of unknown buttons, functions and options. The simpler device, the more fun you get. If you opt for flea markets, try to ensure that you may count on a full refund in case you are not satisfied with the equipment. Do not be afraid to negotiate the price. You may be lucky to get everything you need for less than $50 and become a ham!